A final year medicine student at the University of New South Wales (UNSW) has designed an artificial intelligence (AI) system that's helping women become pregnant using IVF techniques. UNSW said on Wednesday that Aengus Tran, 24, and his MBA- accredited brother Dimitry have founded Harrrison-AI, an organisation that uses machine learning technology to improve the embryo selection process. The men were driven to start the company following a lecture from IVF Australia’s scientific director, Dr Simon Cooke, who said that embryologists manually assess groups of embryos based on physical appearance at a limited number of critical development checkpoints. This is before they select the embryo they feel is most likely to result in a pregnancy, UNSW said. Tran has created a system called ‘Ivy’ that uses machine learning from thousands of previous successful and unsuccessful embryos to help make decisions about viability faster and better. Ivy is a ‘self-improving' AI that continuously learns from the embryos it analyses using a three dimensional assessment of growth of the embryos through all stages of development in an incubator. It then relates this data to whether a fetal heart has developed or not, UNSW said. Harrison-AI is also hoping to use its technology to help patients who suffer from lung problems and eye disease. With lung disease, the problem is in detecting tuberculosis, Dimitry Tran said. “We’re specifically working on how to put this technology in the hands of doctors in Vietnam. We don’t just want to write a paper or go to a conference and talk about this technology – we really want to make a difference to how people treat this disease and help patients,” he said. UNSW said Harrison-AI has struck a deal with IVF service provider Virtus Health to introduce Ivy across its clinics Australia-wide and across Europe later this year. This is not the first time AI technologies have been used to improve IVF outcomes. 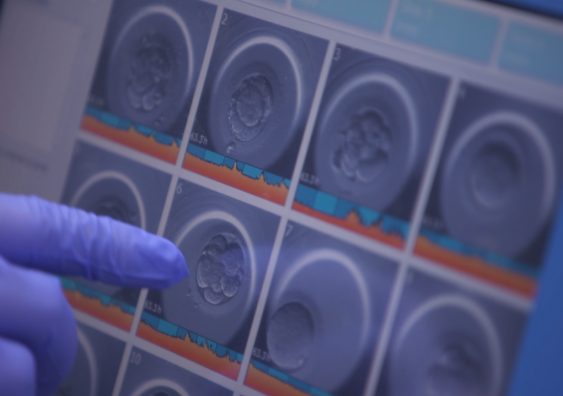 In April, American IVF service said it was working with Australian AI company Life Whisperer on a retrospective study to assess whether AI could have identified embryos that would have led to a successful pregnancy.